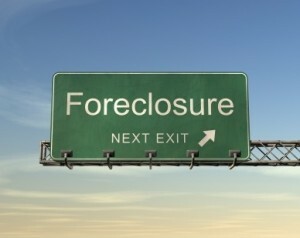 Want to know how to possibly delay a San Diego foreclosure? A looming foreclosure weighed heavily on our North San Diego County clients. Their custom home, purchased at the height of the San Diego real estate market in 2005, had plummeted in value. Unable to pay mortgage payments of $8000 per month, they threw up their hands and asked for our assistance. We listed the home as a short sale, and dropped the asking price regularly. We hired a professional photographer, advertised heavily both off and online, and whispered the situation and opportunity to countless agents. We procured one lowball offer, which the lender rejected after reviewing their own BPO (Broker Price Opinion). With payments in arrears since last November, their home was to be sold at foreclosure just yesterday, June 6, 2008. Though the family had located a new home out of state, they were not scheduled to move in until mid-July. Their worst nightmare was not just the foreclosure, but the fear of a Sheriff showing up at their front door to physically remove them and their possessions out to the street. And they had no place to go in the meantime. We had called the lender repeatedly to try and stall the sale–and failed. We tried to procure a legitimate offer that would halt the sale–and even considered (momentarily) writing one ourselves to help these clients. At the eleventh hour, we located a bulk buyer of real estate who apparently has the cell phone number of key asset managers and lending vice presidents. A magical call and verbal offer from this heavy-duty buyer on Thursday was enough for this lender to cancel the foreclosure that was to take place the next day. The sellers are beyond caring about their home’s sale price; they just want to be sure they have a roof over their heads for the next few weeks until they can make an orderly move with their belongings and pets. And equally important, they are not paying one red cent to have this issue resolved. Beware the scammers who charge thousands to handle these matters. We are re-listing the home with the bulk buyer (via a trust agreement) and will have the home back on the market next week–at a price we would never have dreamed possible. Our clients will be able to remain in the home, will keep the lawn and gardens watered and be able to relocate on their own schedule. And buyers who are seeking a magnificent ocean view custom home in North San Diego County will delight at the pre-negotiated bargain we will be offering next week! Note: If you are facing foreclosure and perhaps owe more than what your San Diego home is worth, please give us a call at either 877-818-8197 or 760-402-9101. At no charge, we may be able to delay the sale and perhaps even find a way for you to remain in your home. Roberta, Good job! You went above and beyond the call of duty to help out folks in need. I hope you get the home sold next time around! Kristal: I am sure you would have done no differently for your Denver clients–and that is one reason I would highly recommend your services to San Diego clients relocating to your lovely locale. Was revisiting old posts this afternoon and discovered this one–somewhat to my dismay. Those “bullk” buyers of short sales are (or should be) out of business. The scheme was to buy underwater real estate at enormous discount, re-list the property and pocket the handsome profit. Banks wised up the the scheme–as did wise real estate professionals–a few years ago. Beware any involvement in these transactions!